From humble beginnings many years ago, the Personal Computer (PC) is fast becoming a part of everyday life for most of us. The growth of the Internet, with its multitude of online services and the ever increasing range of quality applications and games produced for the PC have all helped it become one of today's fastest-growing industries. Companies all over the world build, sell and support PC's for home and business users alike. With such a bewildering range to choose from, PC prices have been forced down through competition, but even today the average system of reasonable specification can still cost upwards of £1000. The Amstrad 1512, launched in September 1986, was one of the first 'mass-market' PCs. For those of us with more time and patience than spare cash, the answer lies in building our own PC's from scratch. Today, PCs have evolved into highly customisable machines and can be easily built from readily available component parts. Although the idea of building your own PC may seem a little daunting, the very nature of a PC lends itself to this rather well. There are, of course, some significant benefits to buying from a PC system builder. If your PC will be vital to your business, you would welcome a 24 hour technical help line and on-site maintenance, should anything go drastically wrong. Also, if you will only have access to one PC, it will be difficult to obtain information to help you repair it should it fail for some reason. It is these very comforts that you will pay for from a system builder, and it is up to you to decide whether you need these services or not. Here at Build Your Own PC, we have many years experience in building and repairing PC's and have created this resource to freely share some of this knowledge. 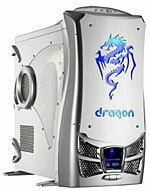 We have hosted this site on a dedicated server so it will always be available to pc builders. Using this and other information resources on the Internet, you can build a PC at your own pace, to your own budget and your own specification.